It’s been almost 24 hours since you realized your loss against Japan. I’m sure you’ve seen all the jokes, all the memes, all the abandonment threats and all of the harsh words. 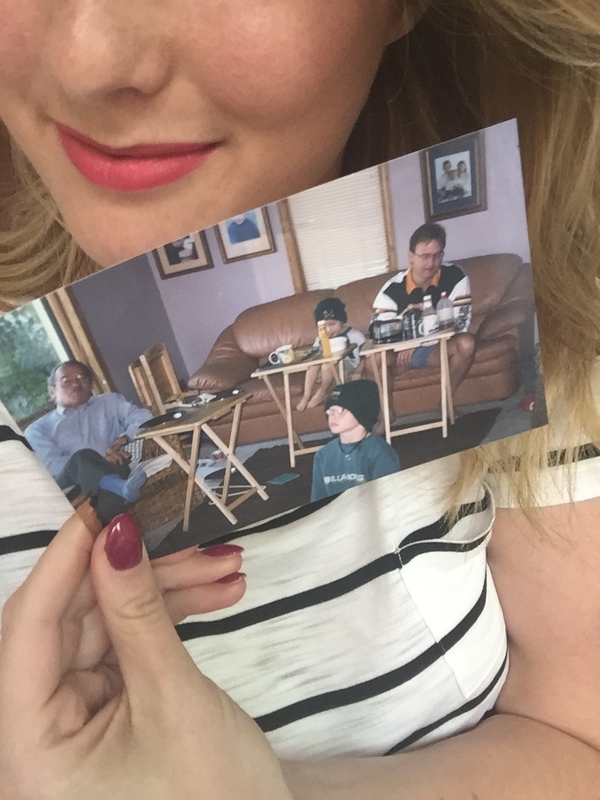 As an ex-pat, rugby has always been a way for me to connect with home. Because of the time change here in Canada, most games fall on Saturday mornings. Like clock work, my dad and brothers and I wake up, put on our Green and Gold jerseys and with tired eyes, turn on the TV and watch the Springboks with pride as they play their opponents. Our jerseys are all from different years. My favourite jersey is a long sleeve jersey, with the LION Lager sponsorship logo on it that was my older brother’s, then my little brother’s, and now mine. My dad wears a springbok jersey that was brought over to Canada by our Ouma, flown half way around the world to be worn on these very mornings. The jersey worn by my older brother fits like a glove and he looks as if he could run onto the field with you and fit right in. My younger brother who use to live in my dad’s old oversized white Springbok jersey, has now grown into his very own Rugby World Cup 2007 Champions Jersey. 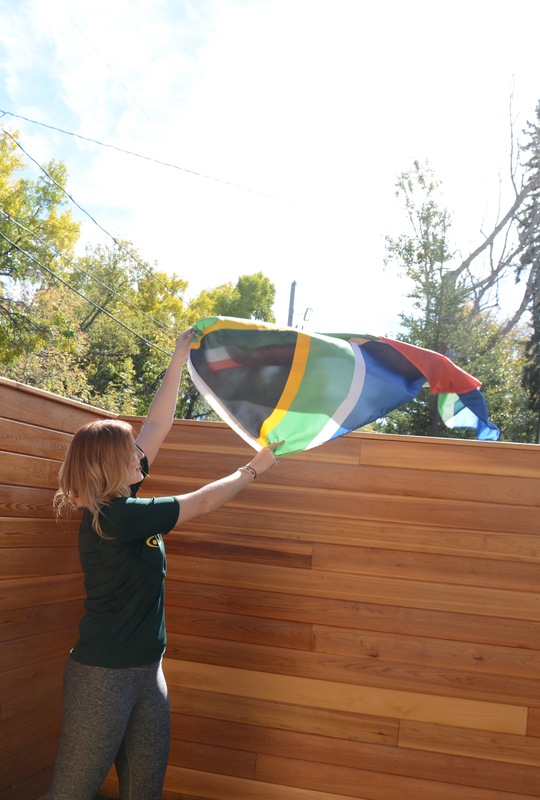 Mom tries her best and always bring out the South African flags, some stashed away biltong and preps for our Braai. 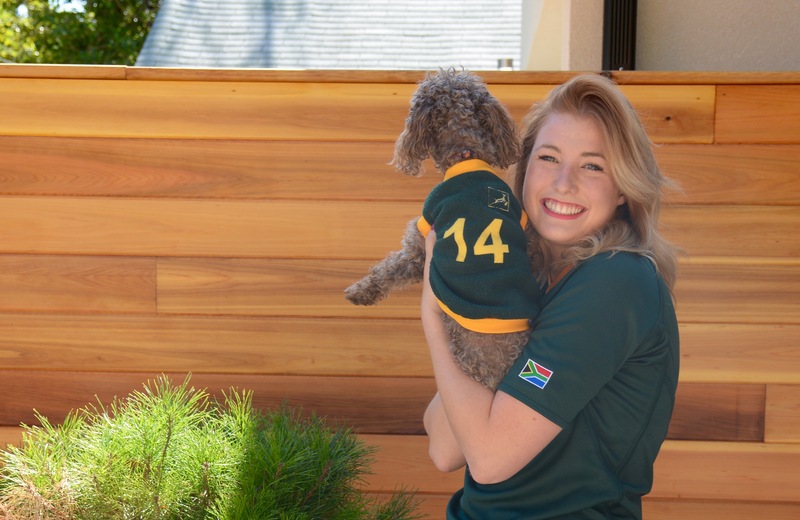 My French poodle – ironically named Sushi – wears her number 14 (HABANA!!) Springbok sweater and curls up with dad. And even as my brothers and I have grown up and moved to other cities, the group of us still relay commentary via text messages and phone calls. We stand up with the anthem and although the boys are too shy to sing out loud because we only have the baileys in our coffee to give our singing voices confidence, I sing along proudly. We laugh at the Hakka or make note of the passion in the Argentinians who are singing their national anthem. We watch rugby for more than just the wins. I love to hear the “1, 2, 3” in Afrikaans as you scrum and I love to hear the subtle “fok” that is whispered when you know you just committed an unforced error. When Eben, just like Bakkies used to do, puts the other team in their place if they mistakenly stepped out of line. The way Habana can take a tackle, get knocked out, stand up, not know his own name, but continue to play to the best of his abilities. When Willie does his little stutter step before he takes off on an amazing run. When the crowd yells “BEEEAASSSTTTT” when Tendai acts as a brick wall against the opposing team. We notice the steady hands and the hungry hearts of the young players like Lood, Trevor, Jesse, Damian, Schalk Brits and Pieter-Steph; you boys show no fear and it does not go unnoticed. Victor, Jean, Fourie, and Ruan we thank you for bringing experience and your level-headedness to the field, you are the men that keep this team grounded. The authenticity you can see in players like Siya and Adriaan, who would do anything for their team, even if it means sacrificing their own bodies for the cause. The intensity you can feel when Morne or Lambie goes to kick, their focus is unbreakable and their breath is steady. The excitement that we feel when Handre hits the field, and not only gets every conversation, but also gets his own tries. The undeniable work effort put forward by Schalk Burger, who is on his fourth world cup and shows no signs of stopping. Francois Louw’s consistency is essential and Zane’s perspective from further back is enough to keep the team together. The speed that comes from JP and Jannie amazes me every time. The agility that is produced by Bismark and Lwazi is enough to get the teams momentum going. Our rocks that are Duane, Coenie, Willem, Frans and Rudy are the foundation on which we can build our championship. And to our coach Meyer, who may be under the most scrutiny right now, all I feel like I need to say is: you know what to do. Your players believe in you and despite the way some of your supporters might be acting right now, your country believes in you. There is no doubt in my mind that you know this particular group of men better than anyone and that you know what it will take to draw out the champions in all of them. I watch rugby to see the players jump on each other after a legendary try. For the moments when the opposing team offers a hand up to another player that is picking himself off the ground. I love that the players go into the “Sin Bin” during penalties but serve their time and after 10 minutes, all is forgiven. I might be of the minority that just loves a rolling maul. I don’t believe it to be a garbage try, but rather a whole team, pushing with their sheer strength against another team to get the points. Every player putting in every last bit of push that they can muster, to simple overpower the other team. I love that players are held accountable for high tackles and dirty play because rugby is a game played by gentlemen who believe in honor and discipline. Rugby is in my blood and I will be forever thankful that I get to share it with my family and friends. A huge thank you needs to go out to my brothers and dad who have had to explain all the rules for me, sometimes over and over again. 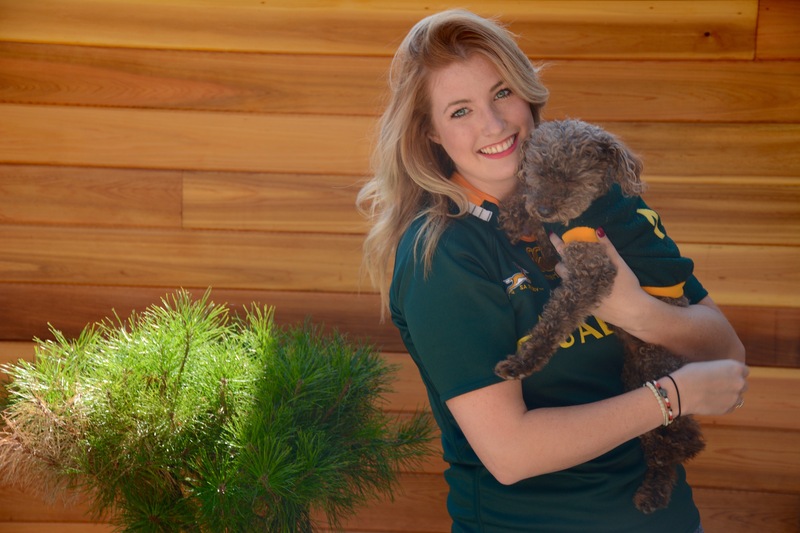 For my best friend Mignon le Roux who watches the games with me when my family isn’t around and who will go outside to throw the rugby ball with me, even though we had to YouTube exactly how to throw the ball in the first place. Girl, we are the original Le Roux and De Jager. And to my sister-in-law Jane, who has jumped into the game of Rugby with everything she has, even including the game of rugby in her wedding vows. In this case, rugby runs thicker than blood. What I’m trying to say is that to me, rugby and the Springboks mean much more than just winning. I live for the small moments. Of course Saturday’s loss against Japan was devastating and initially I didn’t know what to do or what to say. I went on social media and the South African sense of humour was alive and well after the game. For anyone that doesn’t know; inappropriate immediate humor is how we South Africans deal with our problems. It saddened me to see fellow South Africans talking about embarrassment or putting “For Sale” signs on their jerseys. But I was over joyed when I heard that South African fans were shaking hands and congratulating the Japanese fans after the game. I love that I can say “Well done Japan” and feel pride that Japan won not because of the ref, or bad luck, but simply because I know that we did not play like I know we can. I know we can do better and I know we will do better. I am proud that as Springbok Supporters, we can show respect to Japan, because we ourselves hold our own team to such a high standard. Others may think I’m too optimistic or that my opinions of each player are incorrect, and I encourage them to do so. I am not claiming to be an expert, just an ex-pat girl doing what she can to show support. I hope that this letter finds the Springbok Team but even if it doesn’t I hope that it can give other South African Supporters the permission to remember all the other reasons why we love this sport so much. In 10 days I will get on a plane to watch South Africa take on the USA in London. Although I’ve watched countless games on the TV, this will be my first live Springbok game! My family and I are flying to the UK from all over Canada to be together and support our team. Needless to say I am beyond excited to see our men play the sport that we all love and be surrounded by people who share the same enthusiasm about the sport that I do. Well written, authentic and enjoyed every line. Enjoy the travels and just watch that space, our boys are going to surprise many back home here. I too am an expat living in Finland. Well said and you make me immensely proud. Go Bokke! Absolutely outstanding!! I’m living in France and watched the match that disappointed me much while longing to be home with my people. Your writing really brought home some tranquility to my upset spirit about the Boks and our land about the subject. Thank you for that. Keep on writing, you’re very talented. Keep me in the loop. Best. Andre. I also am an expat living on this side of the pond Colorado, USA. I watch every game I can get my hands on either on cable, when I’m lucky but mostly on the internet. I stay glued to the screen through buffering and screen timeouts through wins and hard losses. So I thank you for this piece. It put a smile on my face and if I’m completely honest I shed a tear or two…don’t tell anyone. You hit the nail on the head when you said that this game is way more than winning, for me it is a little slice of my home and the country that I miss and love. So thank you Margie for helping me focus on what’s important. 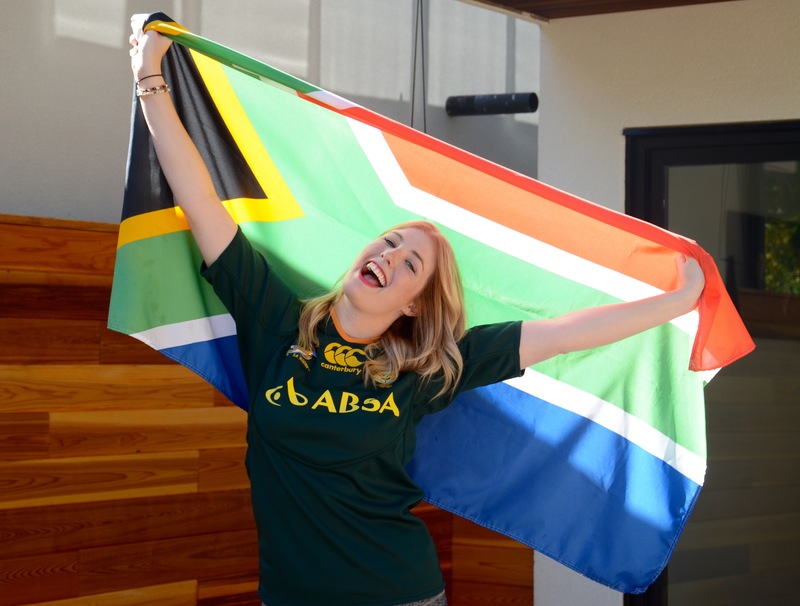 My blood runs green and gold…….Lets go BOKKE!!! 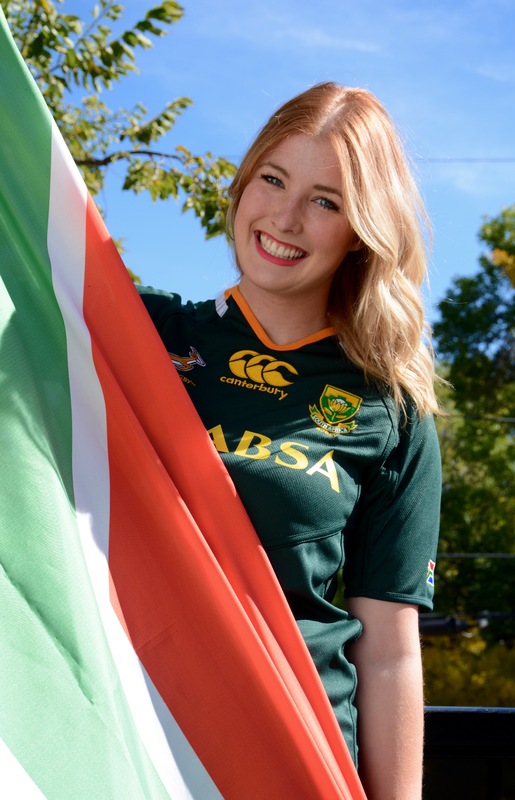 My second team are the Boks, I am Jockanese (Scottish) but spend as much time as I can is SA, I will have a tear in my eye when I hear Nkosi Sikelele, I may even sing under my breath, but on the 3rd of October in St James Park I will be 100% behind Scotland. Who knows we we even meet again in the final, we can dream no. I thought your post was terrific, too often we expect to win regardless of the opposition and are too ready to look for scapegoats when it does not pan out.